Top 5 Video Games of All Time across all platforms! This was the amazing follow up to the Original Baldurs Gate from Black Isle Studio. These guys know how to make RPG’s! As Gorions ward the player must uncover their true identity and rise up against Irenicus and fight the forces of evil. This game has it all, true Dungeons and Dragons rules with roll by roll action, a sprawling world that you could spend years exploring, small side quests, and an expansion that is almost as big as the original game. For those of you who played pen and paper D&D this game allows you to take your character into the 20 levels and makes you square off against god-like creatures! 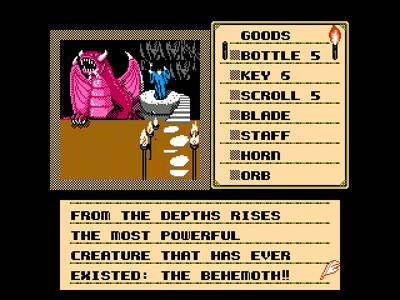 Winner of RPG of the year award this is a must play for any PC gamer out there! Remember you can import your character from the original saga to get that feeling of continuity of the epic quest that this game offers. My first play through was with a monk character, as I wanted to try one of the new classes that were offered up, I was so enthralled that once I finished I immediately imported my cleric from the first Baldurs to play through yet again. Since I must have played through this game 5 or 6 times, finding new things each time and playing from different perspectives each time… No doubt my number 1 game of all time! 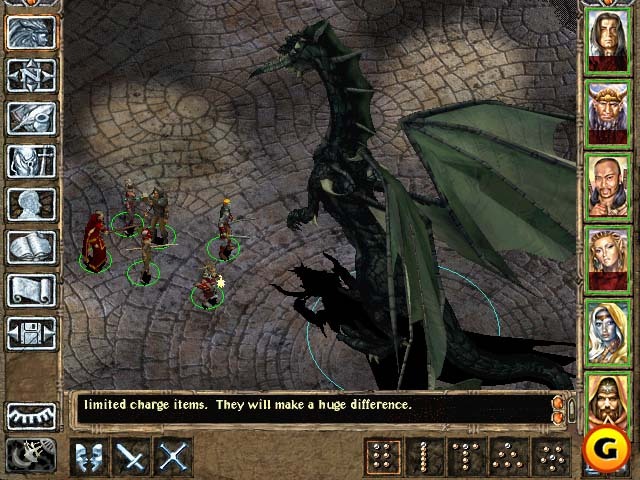 Before Everquest, Before WOW, Before any other MMO there was a little game known as UO. 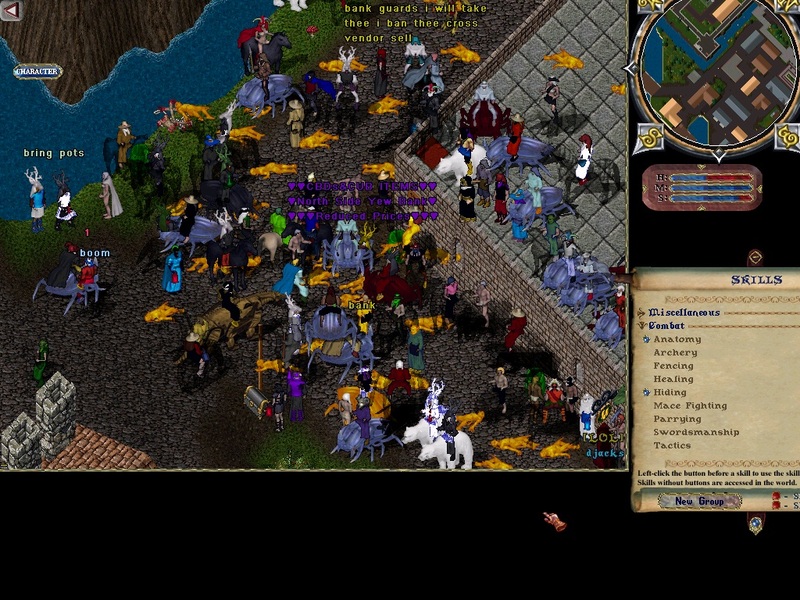 Ultima Online was the best experience I have ever had online period. The community was awesome, if a bit rough and tumble, and it had a feeling of stress at all times! This game was designed by genius Richard Garriot who since has been into space! 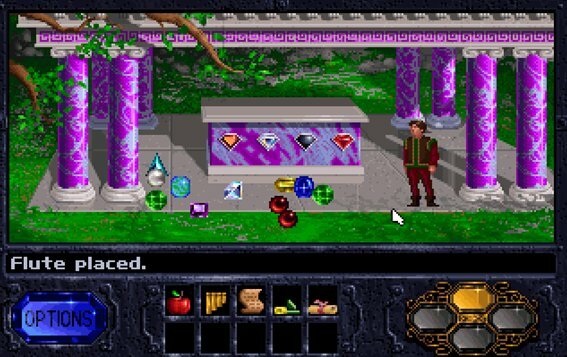 UO was an unforgiving mistress that I put more hours into than any other game in history. The constant threat that anyone could attack you at any time and if you died, they could loot your body, not just an item or two but literally everything you had on you, now many people viewed this as a turn off, I would call them chicken! Gangs skirted the city and awaited the poor souls that would wander out into Britains graveyard, or helpless miners in search of precious ore. Some of my fondess gaming memories are those of hanging in the bottom of Deceit Dungeon battling lich lords with silver weapons, when an army of RED PK’s (Player Killers) would come piling through the door and a three way battle would ensue, the blues vs the reds, vs the lich Lords! The only penalty for killing a person was you would be flagged red for a period of time, and the person could place a bounty upon your head, literally once you killed a red PK you could use an edge weapon to remove their head and take it to a guard to receive any bounty that players had placed upon that person! Also anything on the dead was fair game. I remember hiding (a very useful skill) in Destard and waiting for a Dragon to kill a brave soul, once they had died they became a ghost and had to wander around until they found a NPC (Non Player Character) healer, that is of course unless they were accompanied by a powerful enough mage to cast AN CORP, an 8th level spell of resurrection. 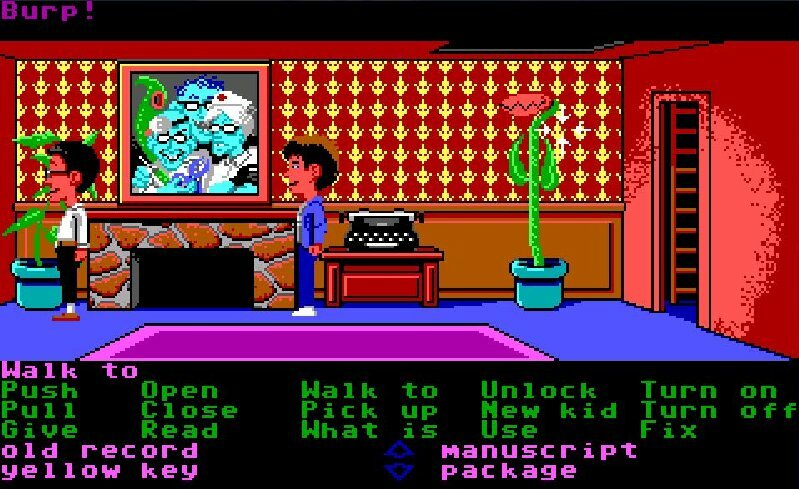 Once their ghost left the room I would run to the corpse and try to snag any valuable loot from the corpse and run before the dragon struck me down as well! The game was unforgiving, besides players looting your corpse, smart creatures would kill you and steal from your body as well! You could build your own house, or castle or start your own guild, the game had so many possibilities that it easily qualifies for number 2 on my list! Corp Por! An epic game that revitalized a series, it has had many imitators since, but this game was the one! 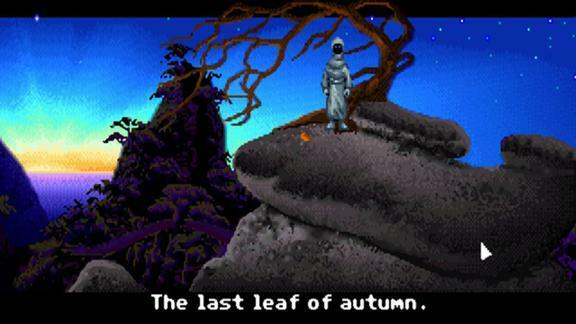 The side scrolling platformer had been in play for over ten years when this game was released, but this game added all the other elements that were missing, an epic storyline, a main character that mattered, one of the best soundtracks in history and role playing elements including leveling up, familiars, and attributes. 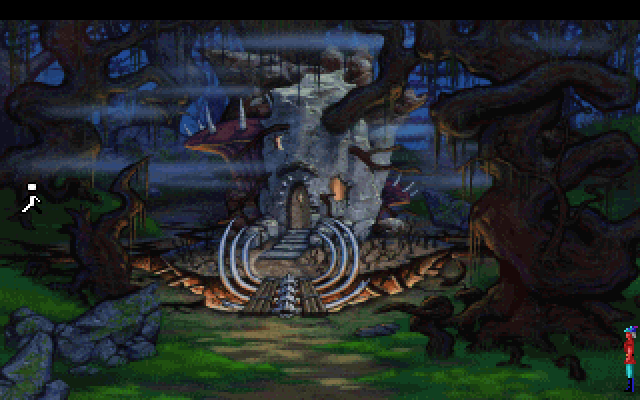 The map alone is Worth the price of admission and many people thought that they had finished the game only to realize that they hadn’t even played through half of what the designers laid out before them. By this of course I am speaking of the correct ending where the player equipped the glasses to see that the final boss was actually just a puppet on Dracula’s strings, once finished properly the entire castle flipped upside down providing an entire new world to play through. The design was amazing the simple fact that the game was so big and worked upside down and right side up was mind blowing, then throw in huge grueling bosses from legend, plus one of the greatest tag lines of all time when you died “Let us go out this evening for pleasure. The night is still young” and you have my third favorite game of all time! The quarter sucker of all quarter suckers this game had to be on the list, if not for gameplay then just for the pure history of the game itself. Many pure gamers consider it the measuring stick that all gamers should place themselves against. It is pure reaction and muscle memory at work, not to mention its history and regarded by most to be the most difficult game of all time, very few will ever witness the kill screen in all of its glory live and in person. 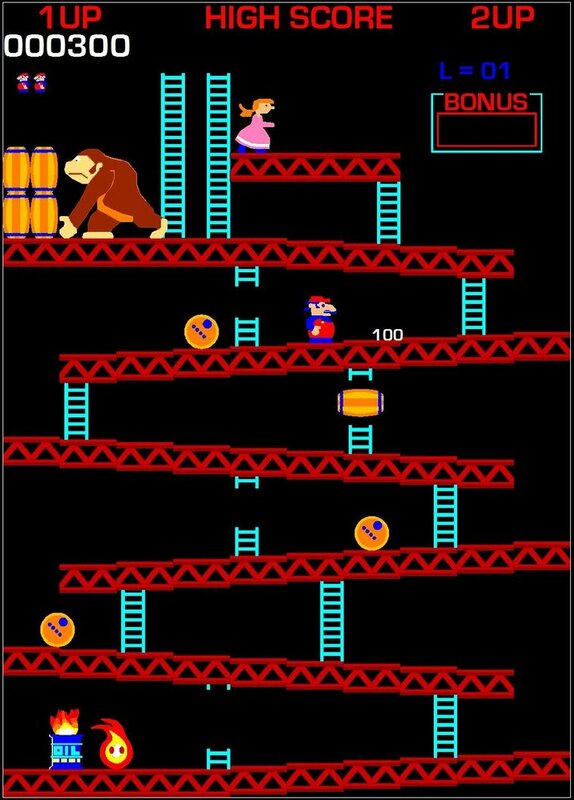 The movie King of Kong gave this game new life as Steve Webe proved that he is the best gamer and that Billy Mitchell is nothing more than an impostor poster boy!! 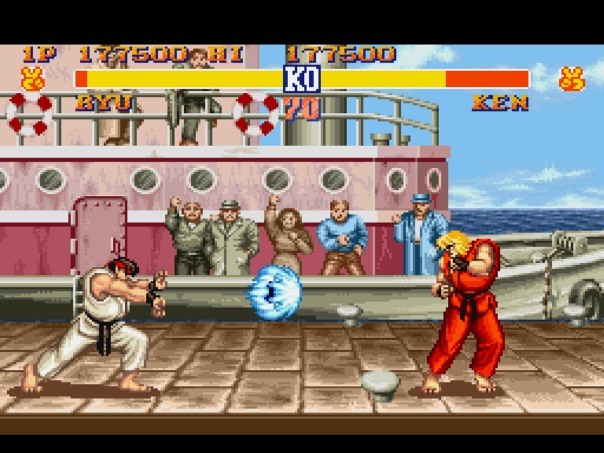 The true test of player vs player gaming came in the form of a side view fighter, when Street Fighter 2 was released in arcades lines formed, quarters were placed upon the machines to designate who was next and the winner stayed while the loser payed. A culture phenomenon was born that spawned many sequels as well as Hollywood films and a ton of imitators, but no game would have the precise timing and elegant format that SF2 offered. I remember waiting 20 minutes or longer to get a chance to fight, only to get destroyed and wait in line again. SF2 revolutionized control schemes with its quarter circle forward and backwards setup and it proved that button mashing was futile! With some of the most memorable characters ever, forget Ryu and Ken, how about Chun Li, Zangief and of course the contorting Dhalsim this game had to make it into my top 5 list! Thanks for reading and please look for more top 5 lists soon!